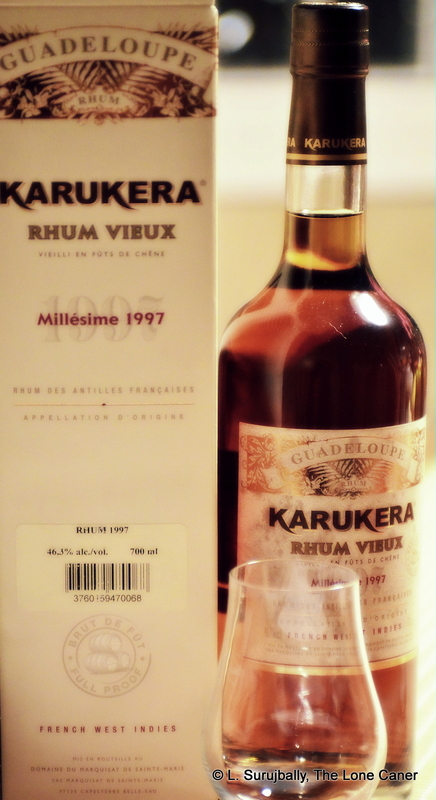 A generally unimpressive agricole aged five years, better as a mixer than a sipping rum. I imagine its older brothers will be better (if I can ever lay my hands on one). 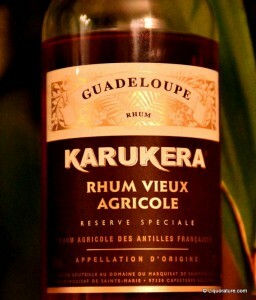 The French Caribbean islands – Guadeloupe in this case – are noted for their agricoles, which are rums made (in some cases to exacting specifications) from sugar cane juice as opposed to molasses. This gives them, in general, a lighter taste profile, a lighter colour, and a lighter overall mouthfeel. Overall, I have not been entirely won over by them (yet), preferring as I do heavier bodied, darker and more intense rums. 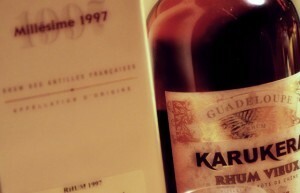 There are, naturally, some exceptions, like the Rhum Clemente Tres Vieux XO from Martinique (upon which, after some back and forth tastings I finally came out positive). 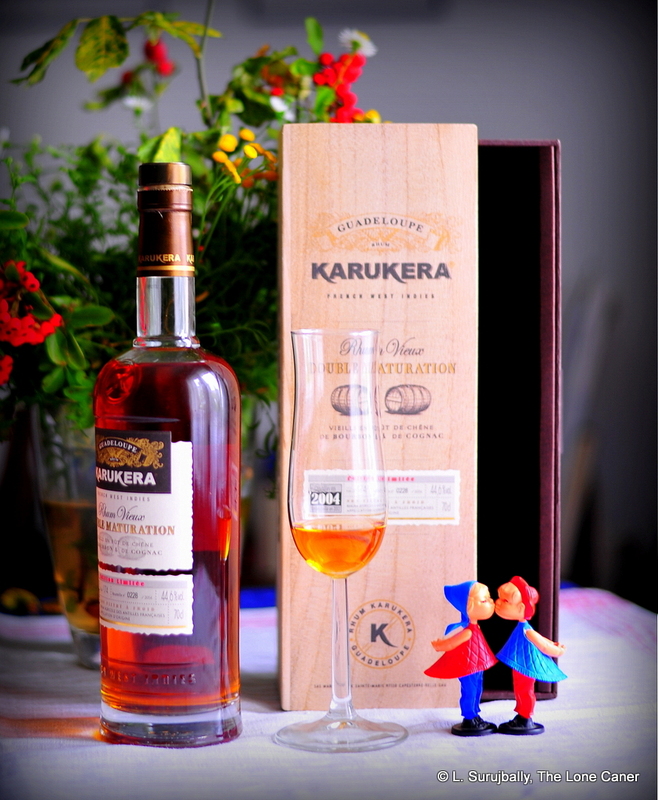 This Karukera Special Reserve is a relatively young agricole rum, being aged for five years in small (no further definition is provided) ex-bourbon casks. Its youth is somewhat evident on the nose which is spicy, and has the light floral and grassy hints that so characterize French terroires. Sweet, with some oakiness, cinnamon and faint sulphury notes. The 42% strength comes out quite robustly on arrival – even that extra 2% makes quite a difference on the palate; unfortunately this presented to me not as an intensity of flavours I so like about overproofs, but more as a sort of harsh initial sting on the tongue. Yes it was redolent of cloves, pepper and gradually something softer (bananas) and maybe liquorice, must be honest about that. It was also a shade dry. No caramel, burnt sugar or molasses aftertastes until the glass dried out the dregs, so no surprises there at all. Not sure I want to wait that long to get the taste I’m after, though. Finish is short and unappealing to me personally. Overall, I must confess to being…well, uninspired. And yet, and yet…it’s not really that bad after it opens up a shade. I marked it down for the finish, sure, but before that the taste ended up strong and somewhat simpler than I had initially sensed, and I must remark on this before you throw the whole thing down the drain. All right, so this rum, like most agricoles, doesn’t turn my crank all that much. 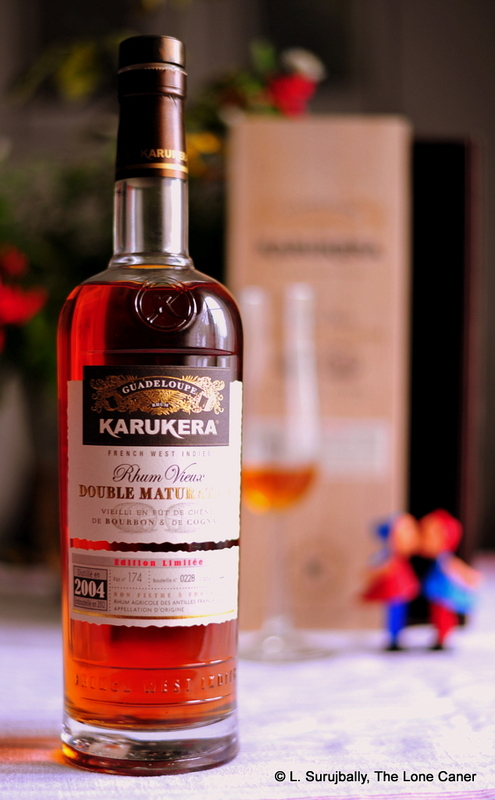 It’s a young low-to-middle-range rum, not that good a sipper. Indeed, most notes online remark on its excellence as an ingredient in cocktails and tiki drinks, on which I am by no means an expert. I review things on an individual basis as sipping drinks with only occasional nods to the miscibility of the product. On that basis, I would suggest it’s actually not too bad. The cocktail ingredients fill out the lack of the rum quite well. 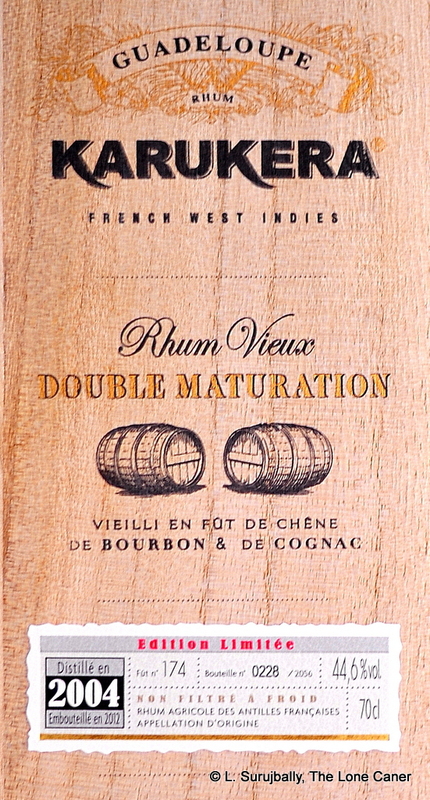 What irritates me about rums like this is how little information there is that is available for research on the product. 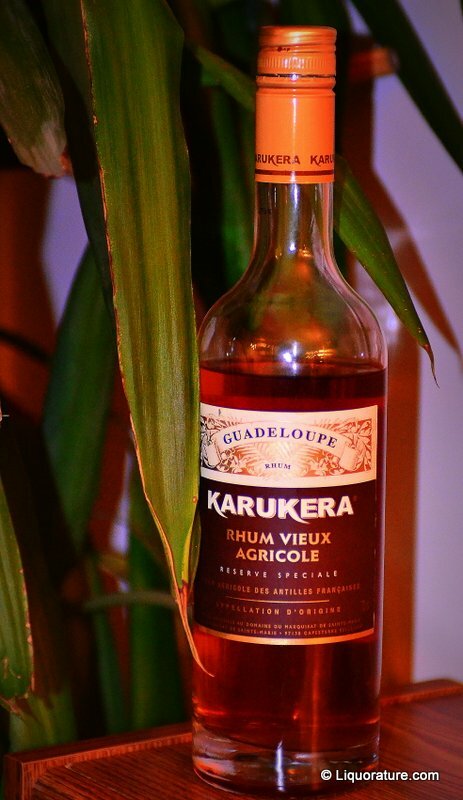 All I can tell you beyond what I’ve written above is that it originates in the domaine of Marquisat de Sainte Marie, and made by the oldest distillery in Guadeloupe, the Esperance distillery established in 1895. And that’s it. For a guy like me, who likes providing more rather than less information beyond mere tasting notes, this ain’t much. Having grumbled my way through the bottom of my glass, let me sum up. It’s a herbal, grassy, slightly spiced drink of some sharpness. I don’t recommend taking it neat, or even on ice. It’s too strong to be ignored, and too light for me to take it really seriously. In short a light, relatively complex mid-ranging cocktail ingredient. And not really for me.